In a different era when rail travel was rampant and one could find high quality service to virtually any destination they so chose it was quite common to see railroads of virtually any size operating some type of streamliner or streamlined equipment. This was certainly the case with the Bangor & Aroostook, a relatively small system serving Northern Maine (which it proudly proclaimed as its official logo). The BAR offered two trains with lightweight equipment, a dayliner known as the Aroostook Flyer and the overnight Potatoland Special. While they carried only short consists, the services were first class (nothing short of impressive considering the BAR's size and region it served). As ridership waned the railroad canceled both in the early 1960s. The Bangor & Aroostook (or "BAR," the road's official reporting marks to avoid confusion with the Boston & Albany) was tucked away in the upper fringes of Maine, connecting the coastal ports of Bangor and Searsport with the border of New Brunswick in the state's vast northern emptiness. Interchange with the Canadian National was carried out at St. Leonard via Van Buren, Maine. 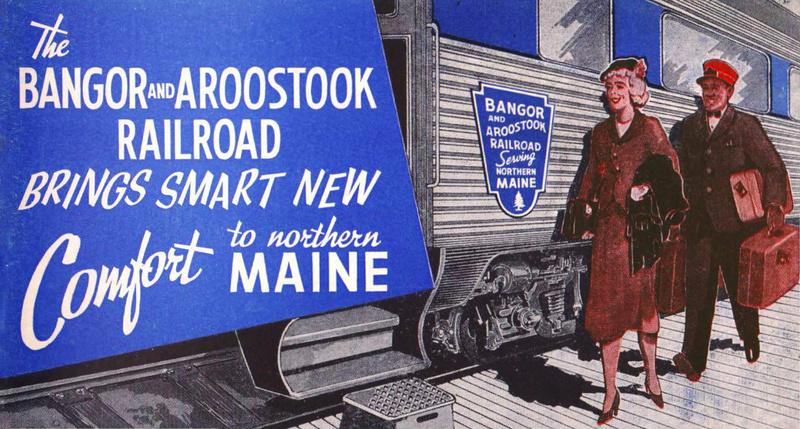 The BAR's principal trains, the Potatoland Special and Aroostook Flyer, were launched in the 1930s and ran the entire length of the railroad's system from Bangor to Van Buren. At its southern terminus (Bangor) connections were made with the Maine Central where travelers could continue journeying southward if they so chose. The 230-mile corridor could be completed in about 6 1/2 hours. Such quick transit meant that a round trip was carried out during the waking hours; southbound train #2 would leave Van Buren early in the morning and arrive in Bangor during the early afternoon while northbound train #7 departed Bangor later that afternoon and returned to Van Buren before Midnight. In spite of this fast service the BAR still provided an overnight counterpart, the Potatoland Special (trains #8, southbound, and #1 northbound). It provided a through sleeper (running six days of every week) that connected to Boston traveling over the Maine Central and Boston & Maine to reach North Station. These nightly trains were once a popular way to travel all around the country, particularly those on business, and this was no different on the Special whose through sleeper was especially tailored to such clientele. Prior to the days of diesel power the Aroostook Flyer was led by a variety of steam power according to Kevin Holland's book, "Passenger Trains In Northern New England, In The Streamline Era." Most often a 4-6-0 Ten-wheeler or ubiquitous 4-6-2 Pacific was upfront but on occasion even an elderly 4-4-0 American was used until the World War II era. Diesels, in general, were late to the BAR which did not purchase a single example until 1947 when a fleet of eight Electro-Motive F3As arrived, numbered 500A-507A. Two of these units, #506A-507A, were specially equipped with steam-generators and inaugurated diesel-powered passenger service on May 14, 1948. These were supplemented a year later by a pair of E7As, #700-701, in 1949 (the only two of their kind the BAR ever owned). Both the Es and Fs were adorned in an attractive livery of blue and grey sporting a winged-shield on the nose that included the company logo. Around the same time the railroad took delivery of three lightweight, 68-seat coaches (which featured a 12-seat smoking section) from Pullman-Standard. These cars (including #250 Katahdin, #251 Chippewa, and #252 Mohawk) sported a stainless-steel look, not unlike Budd's designs, with a large blue band across the window area to match the locomotives. Along with this new equipment the BAR utilized its small fleet of "American Flyer" equipment; a typical consist of the Aroostook Flyer including the lead diesel (F3A or E7A), an American Flyer buffet-lounge, and the three new streamlined coaches. 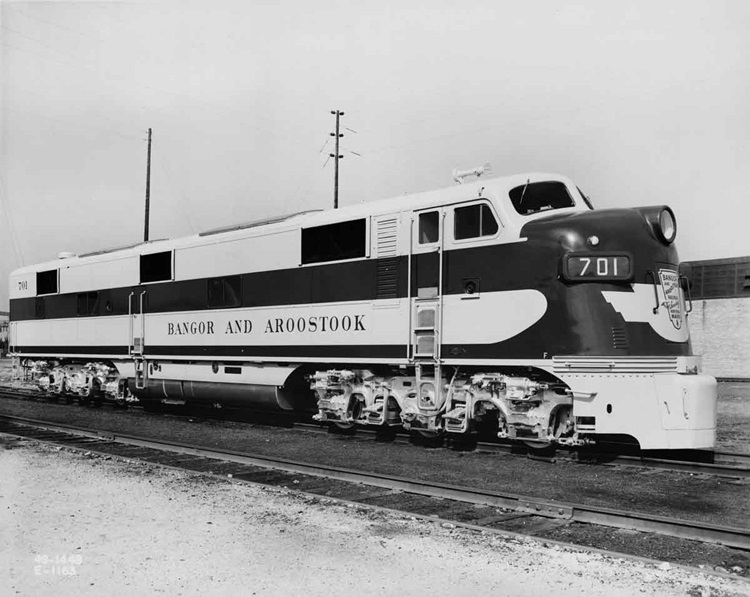 The Bangor & Aroostook fielded a handsome and elegant duo of streamliners considering its small size. For more than a century the railroad carved out an existence for itself primarily on the movement of timber products and agriculture (potatoes was an important source of traffic for many years, hence the name Potatoland Special, until the Penn Central era). Because of this the system is often not regarded, or even known, for its passenger services. 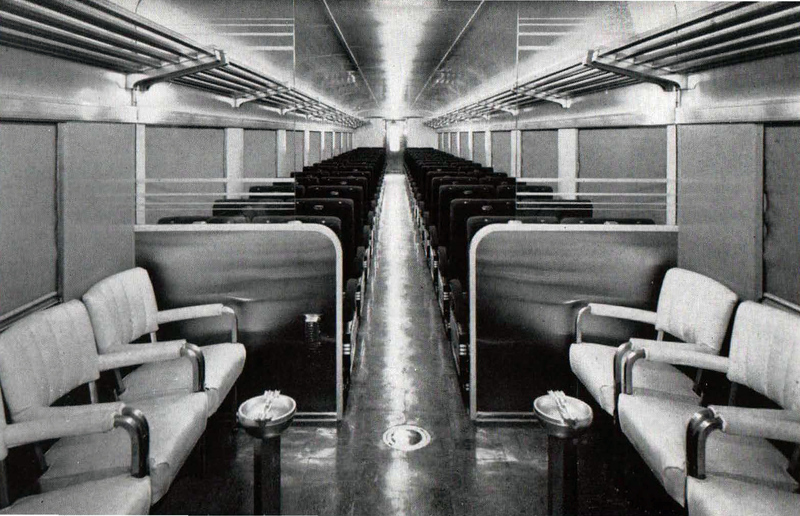 As the public abandoned trains for highways and airlines during the 1950s the BAR recognized it was time to exit the business, ending all remaining trains by 1961. The railroad may have, perhaps, continued scheduling service after this time had it not been for the loss of through service over the Maine Central, which discontinued passenger operations during September of 1960.